ESO's Very Large Telescope has been used to create the first ever map of the weather on the surface of the nearest brown dwarf to Earth. 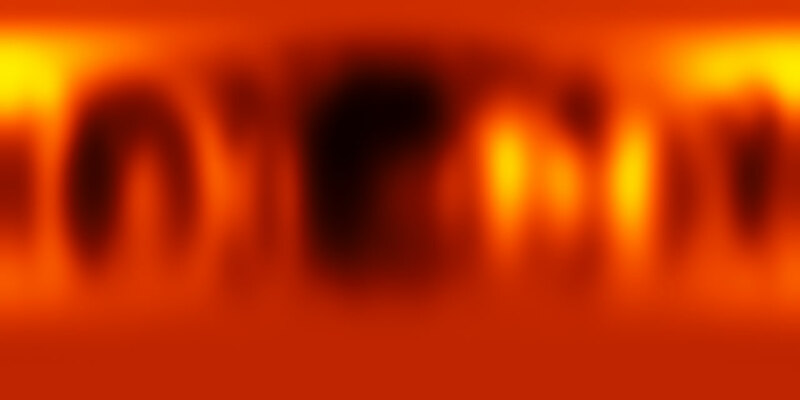 An international team has made a chart of the dark and light features on WISE J104915.57-531906.1B, which is informally known as Luhman 16B and is one of two recently discovered brown dwarfs forming a pair only six light-years from the Sun. The new results are being published in the 30 January 2014 issue of the journal Nature. The closest brown dwarfs to the Solar System form a pair called Luhman 16AB  that lies just six light-years from Earth in the southern constellation of Vela (The Sail). This pair is the third closest system to the Earth, after Alpha Centauri and Barnard's Star, but it was only discovered in early 2013. 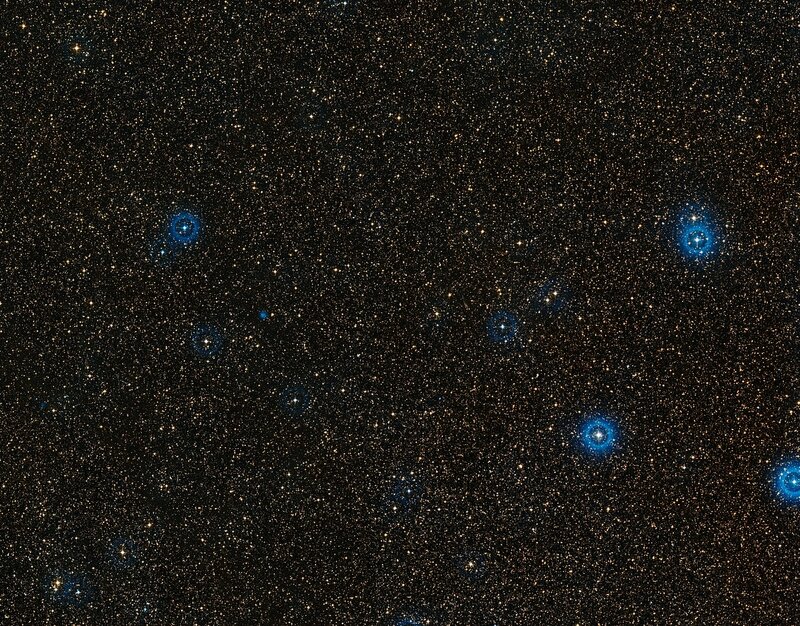 The fainter component, Luhman 16B, had already been found to be changing slightly in brightness every few hours as it rotated — a clue that it might have marked surface features. Now astronomers have used the power of ESO's Very Large Telescope (VLT) not just to image these brown dwarfs, but to map out dark and light features on the surface of Luhman 16B. 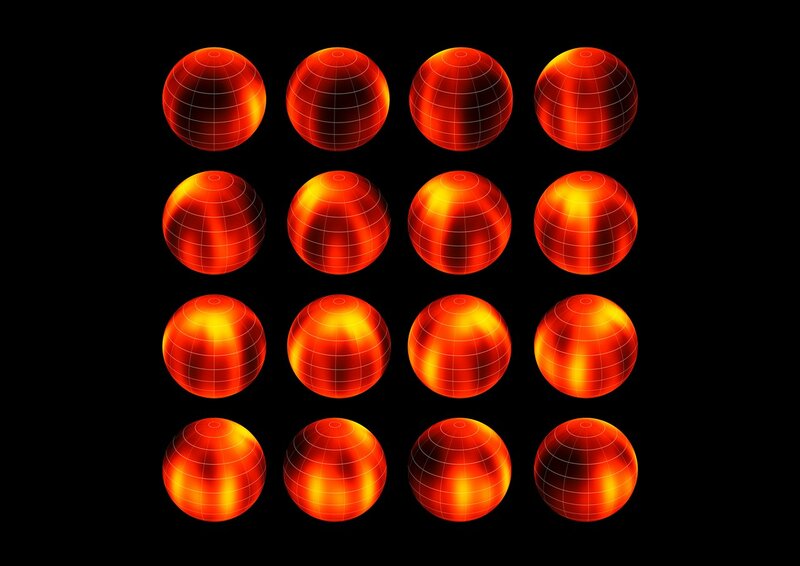 This research was presented in a paper, “A Global Cloud Map of the Nearest Known Brown Dwarf”, by Ian Crossfield et al. to appear in the journal Nature. The team is composed of I. J. M. Crossfield (Max Planck Institute for Astronomy [MPIA], Heidelberg, Germany), B. Biller (MPIA; Institute for Astronomy, University of Edinburgh, United Kingdom), J. Schlieder (MPIA), N. R. Deacon (MPIA), M. Bonnefoy (MPIA; IPAG, Grenoble, France), D. Homeier (CRAL-ENS, Lyon, France), F. Allard (CRAL-ENS), E. Buenzli (MPIA), Th. 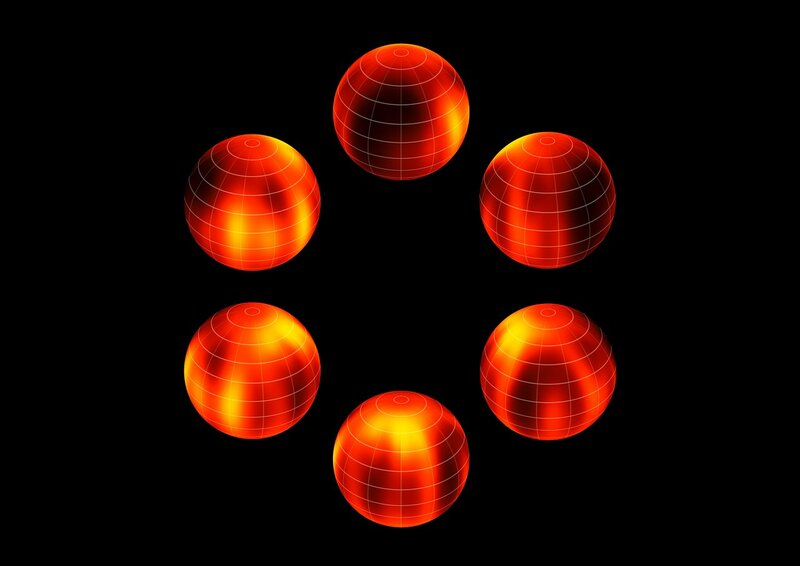 Henning (MPIA), W. Brandner (MPIA), B. Goldman (MPIA) and T. Kopytova (MPIA; International Max-Planck Research School for Astronomy and Cosmic Physics at the University of Heidelberg, Germany).